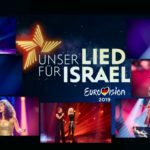 In a special press conference , Germany’s Head of Delegation Christoph Pellander alongside with the director of ARD’s enertainment program, Thomas Schreiber,revealed which date the country’s national selection Unser Lied für Israel is to be held. According to the official announcement within the press conference the national final will be held on February 22. The show is set to start at 20:15 CET and will be presented Barbara Schöneberger and Linda Zervakis. 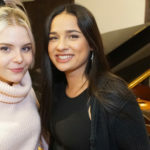 The winner will be determined as in last year’s edition, 1/3 by the public votes, 1/3 by a special jury’s votes and 1/3 by a Eurovision specialized jury’s votes. Last year Germany was represented by Michael Schulte and the song You Let Me Walk Alone which achieved an honorable 4th placing in the final with 340 points.